The 2017 World Games finished back in July with the USA winning gold again. 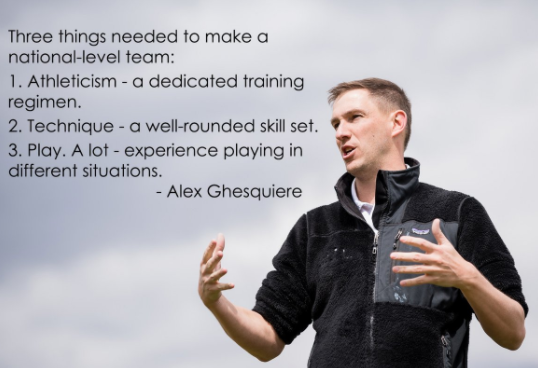 USA Ultimate's World Games ultimate (flying disc) team's coach Alex Ghesquiere shared three things an ultimate player needs to make a national-level team. 1. Athleticism; a dedicated training regimen. 2. Technique; a well-rounded skill set. 3. Play; a lot. Experience playing in different situations.